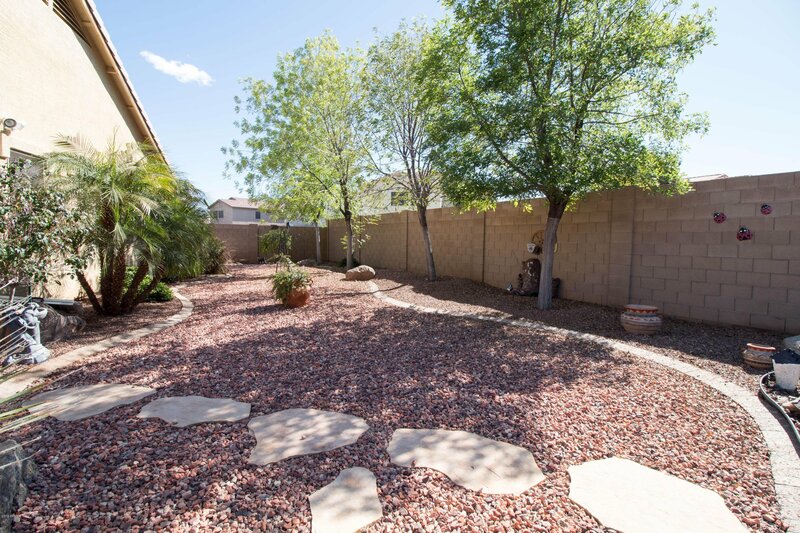 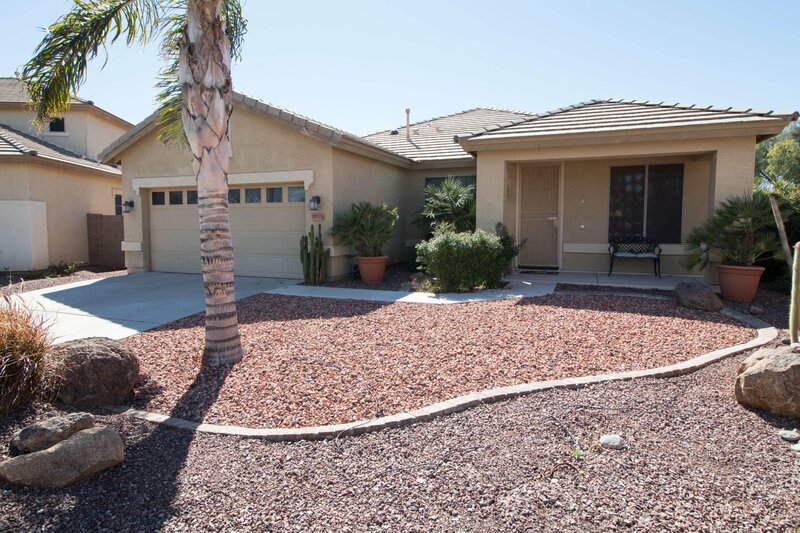 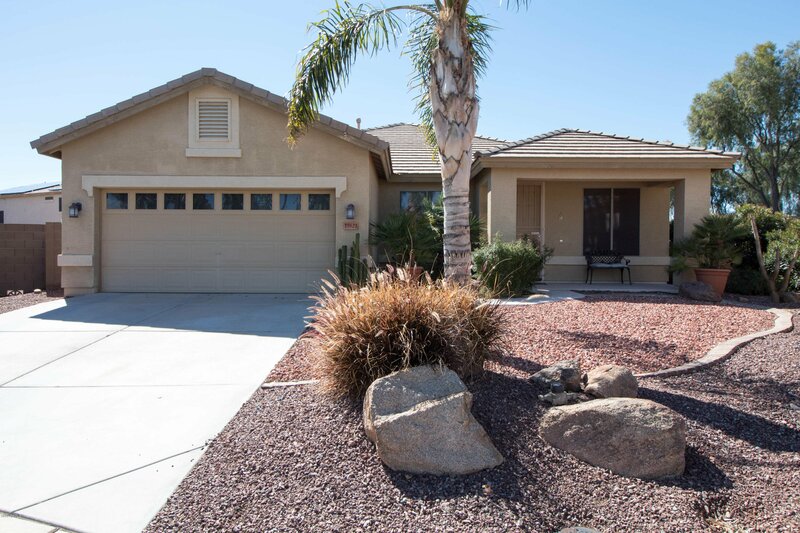 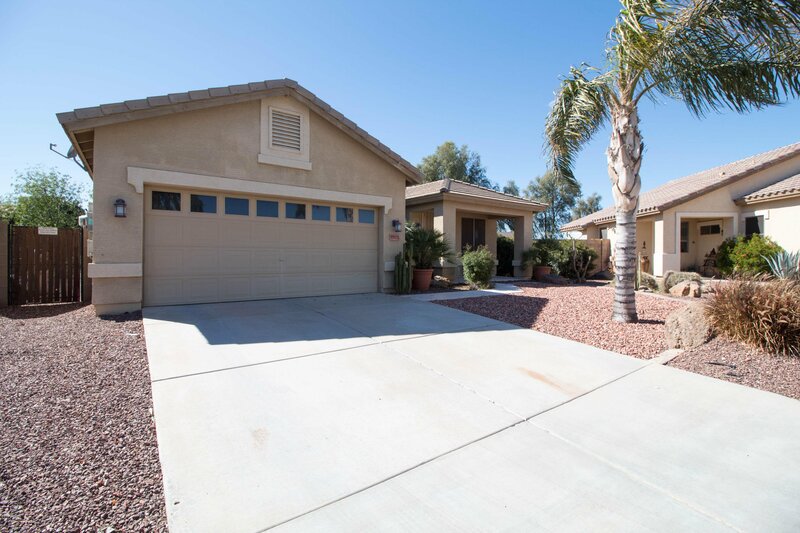 3 bed, 2 bath, + den home with 2,166 sq ft in Surprise Farms subdivision with large pebble tech diving pool & solar panel lease for huge savings! 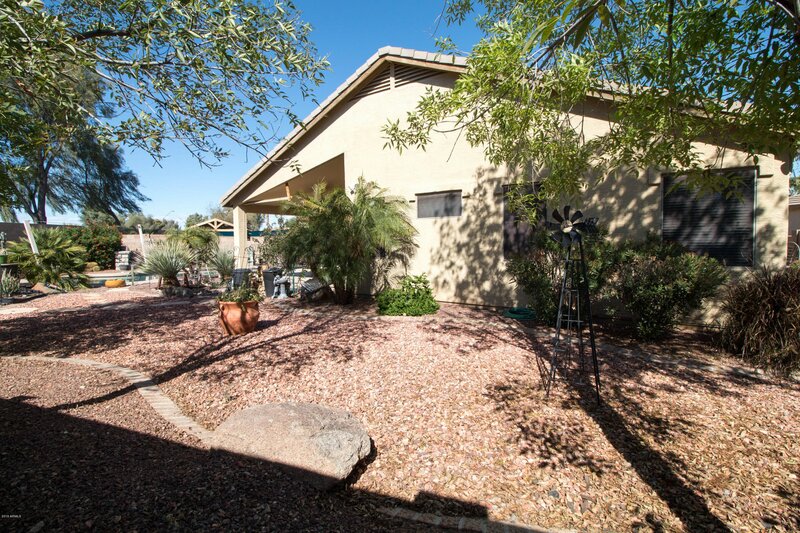 House is on cul-de-sac shaped lot & was former model home for Standard Pacific Homes. 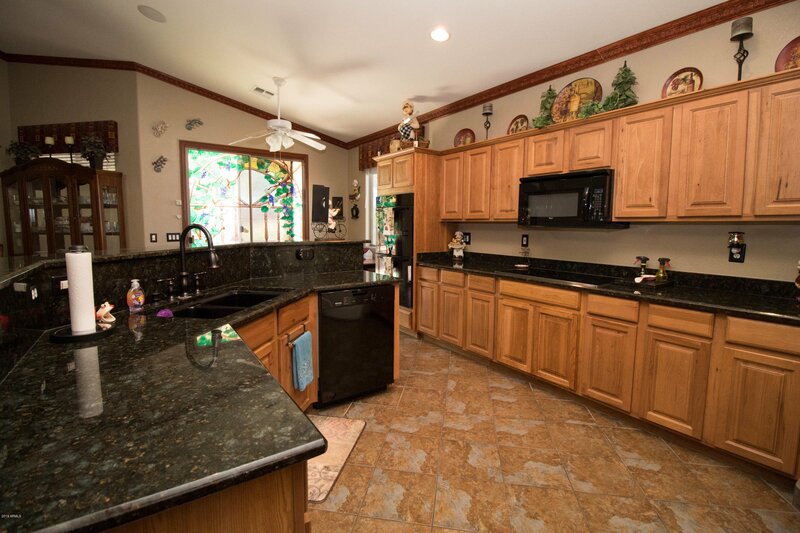 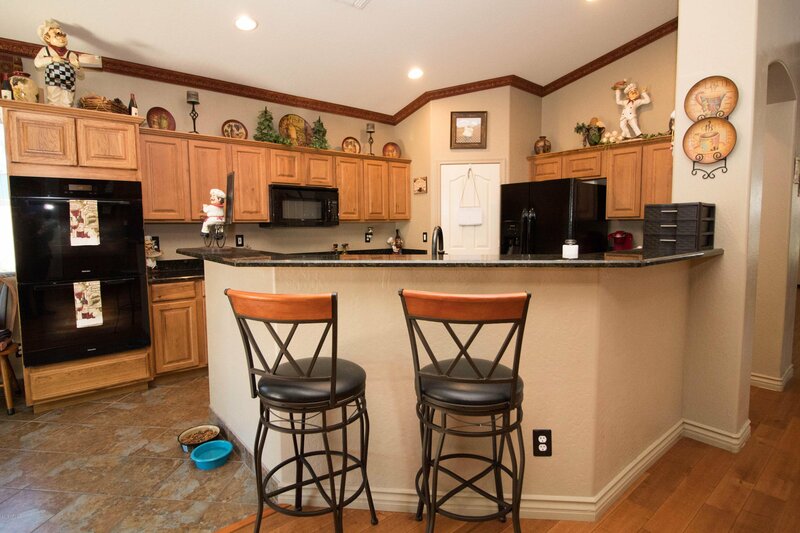 Kitchen features Miele double ovens, cooktop, & dishwasher, granite counter tops, crown molding, & a breakfast bar. 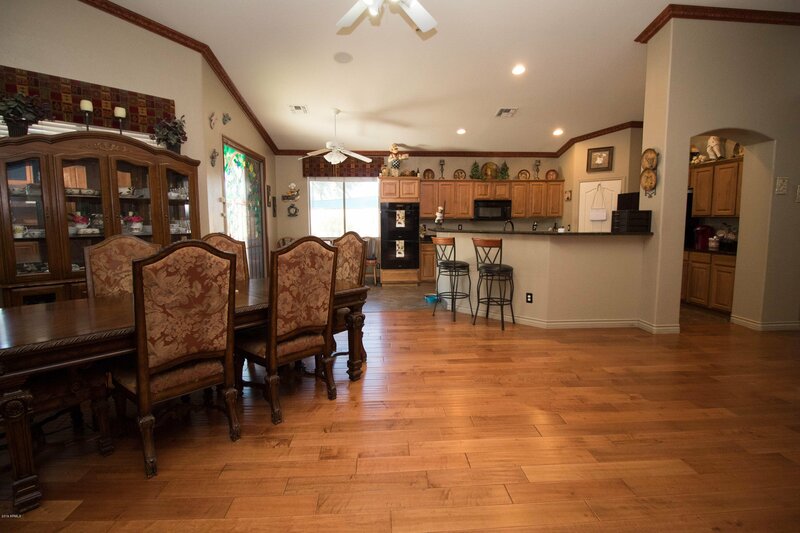 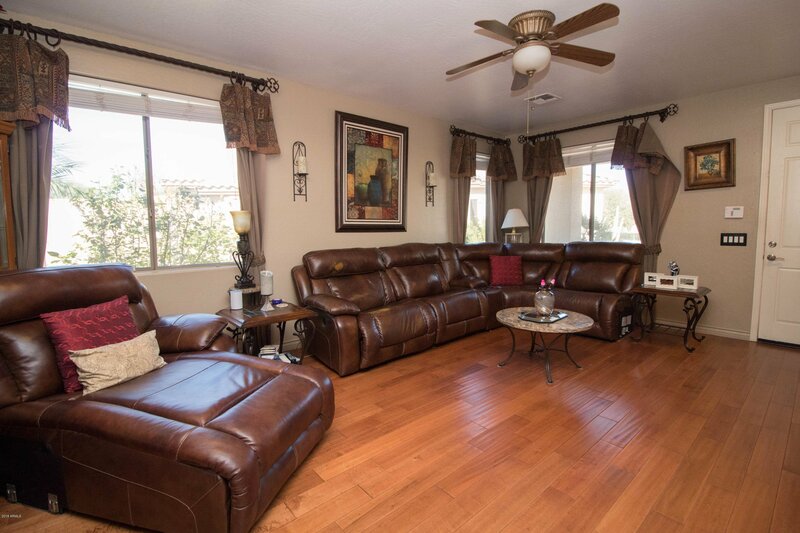 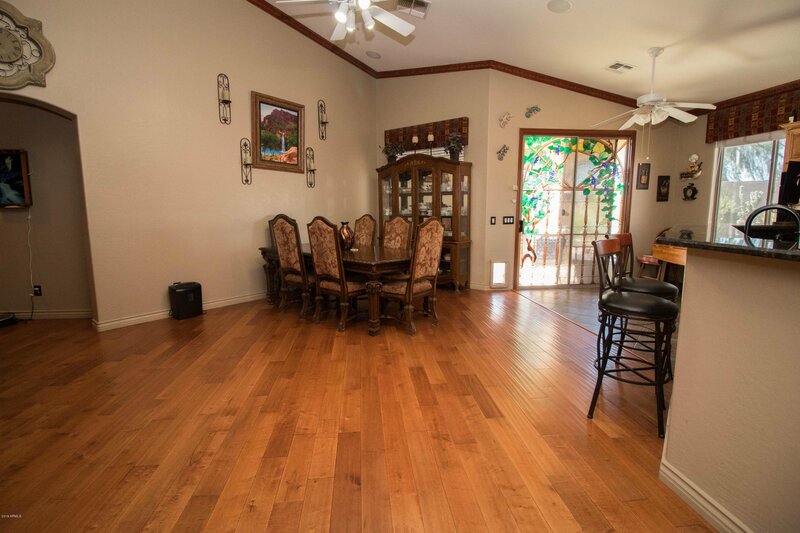 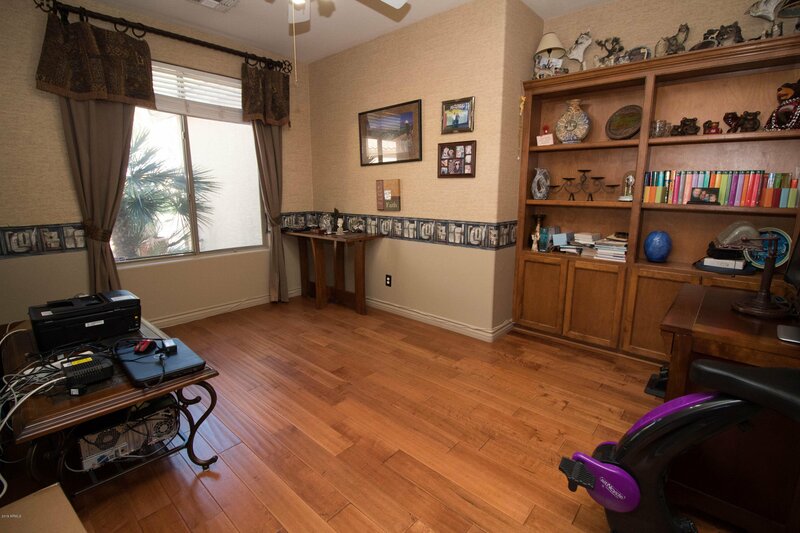 Beautiful engineered hardwood, carpet, & tile floors throughout home. 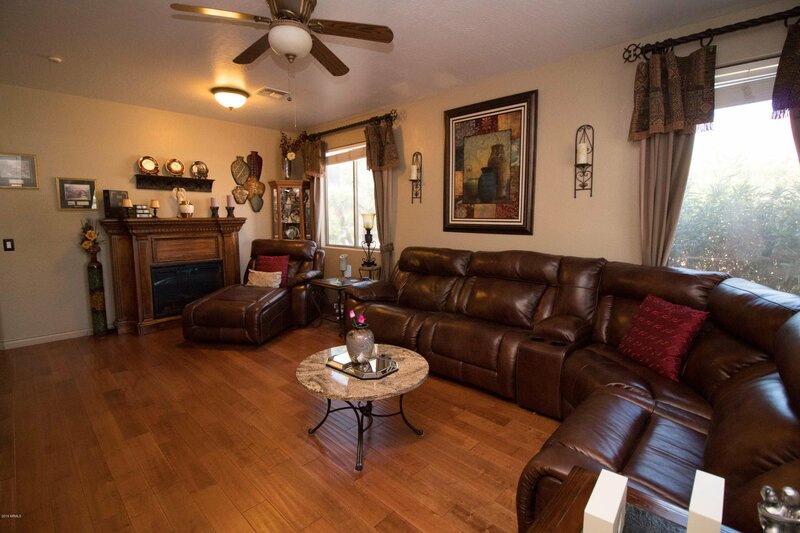 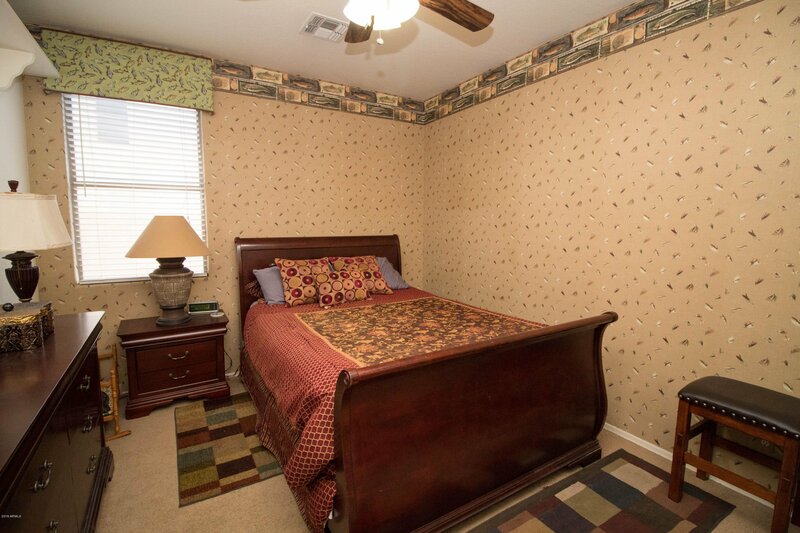 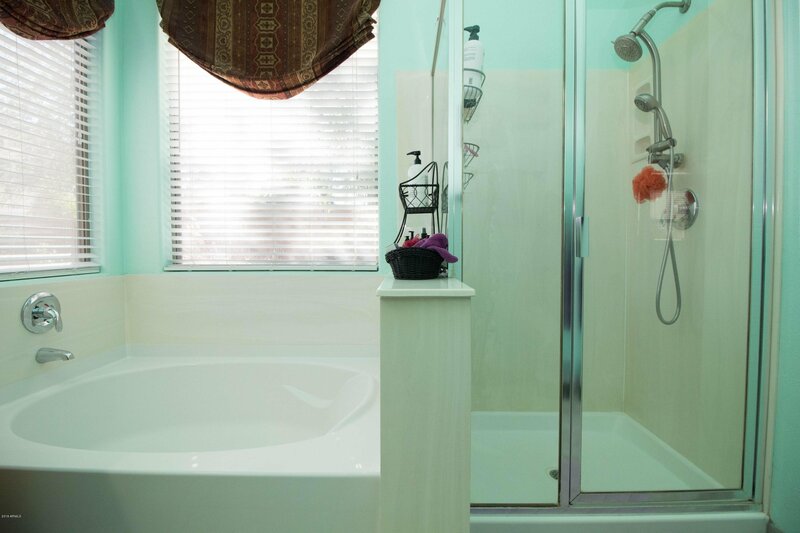 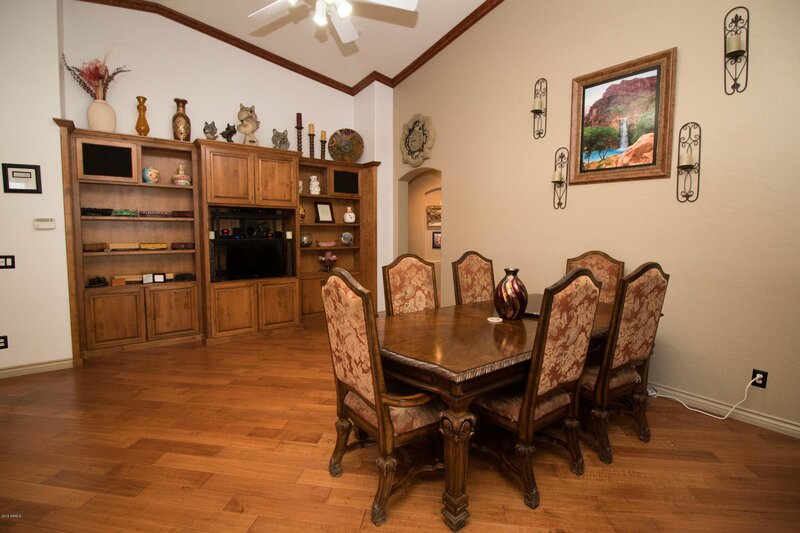 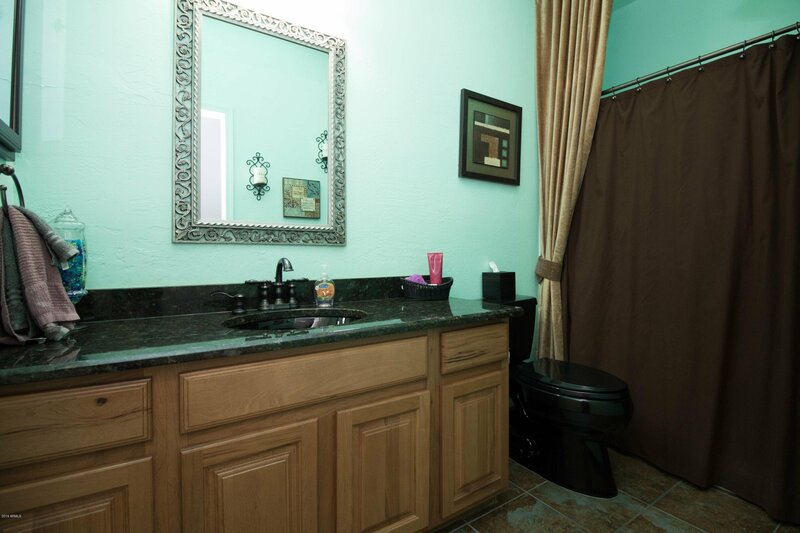 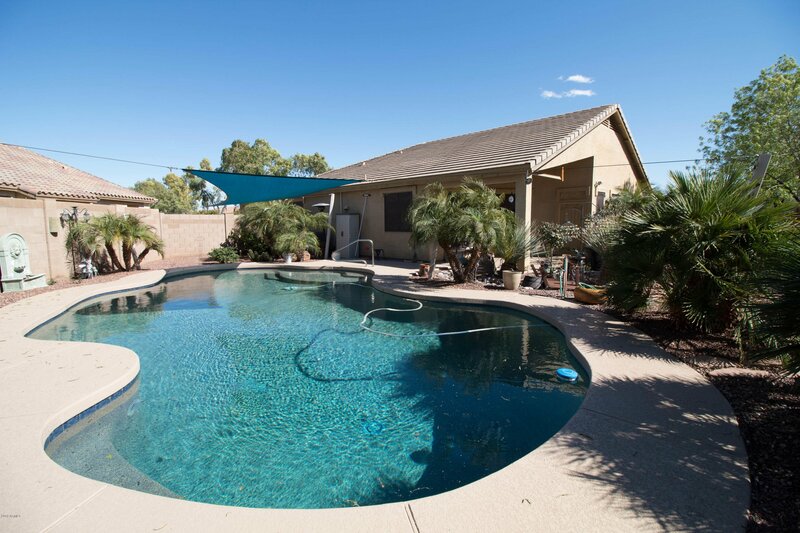 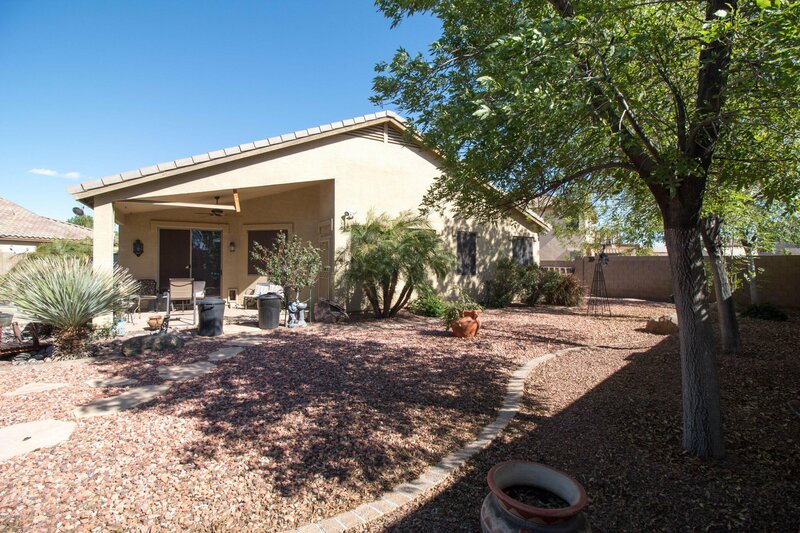 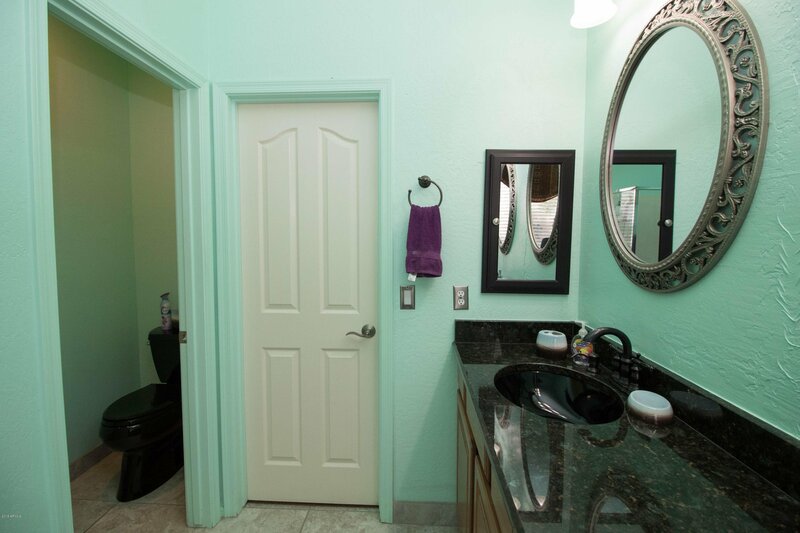 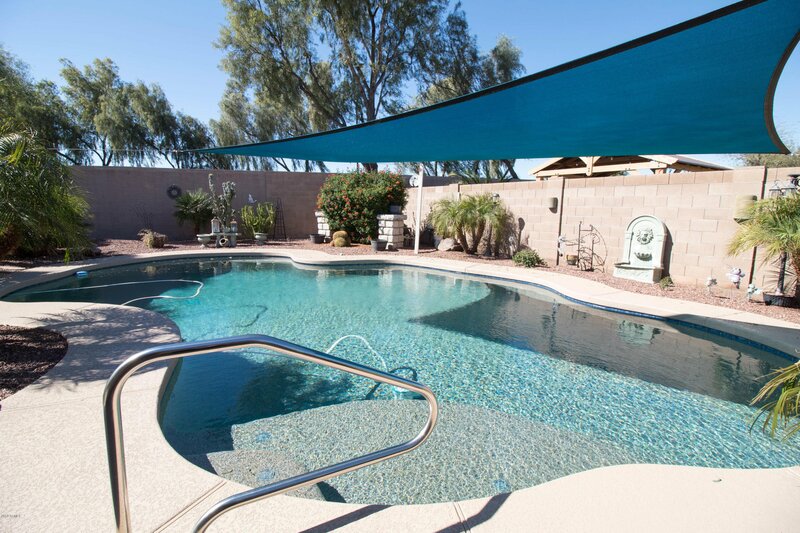 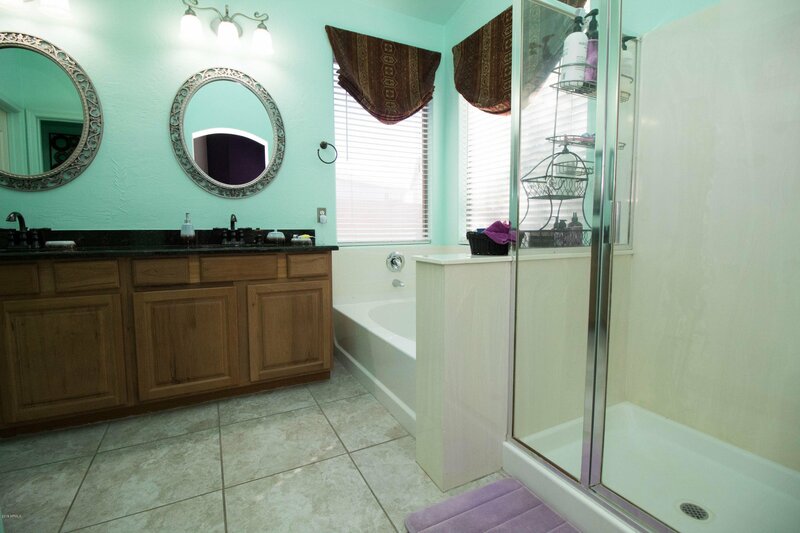 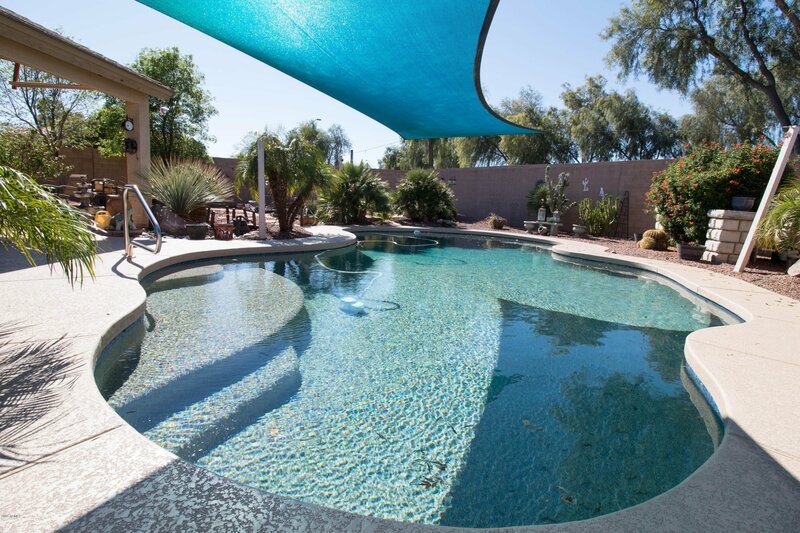 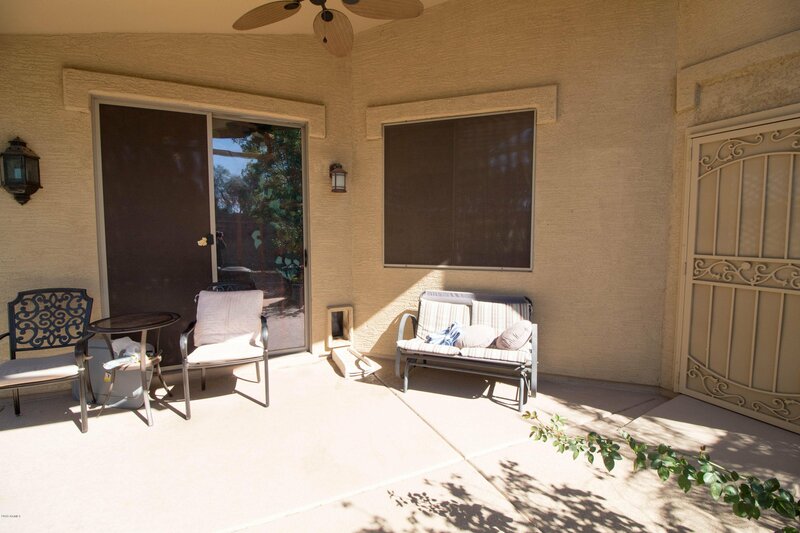 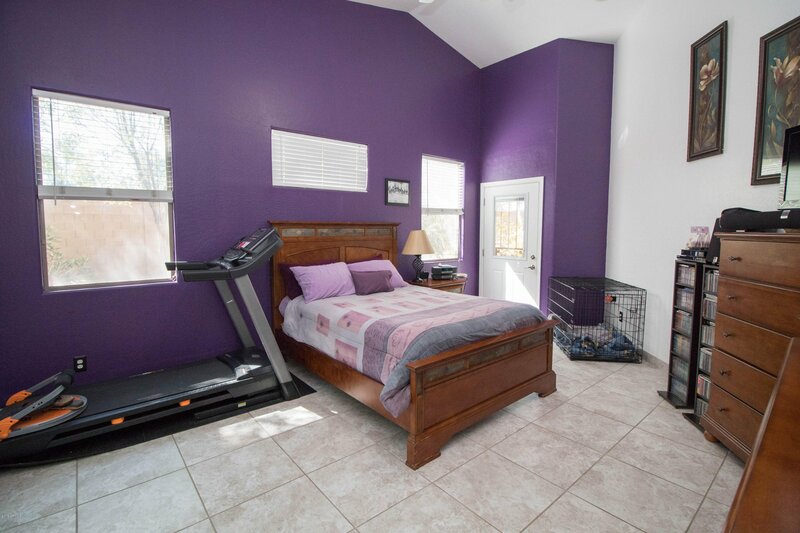 House has vaulted ceilings, great room & master suite both have cathedral ceilings. 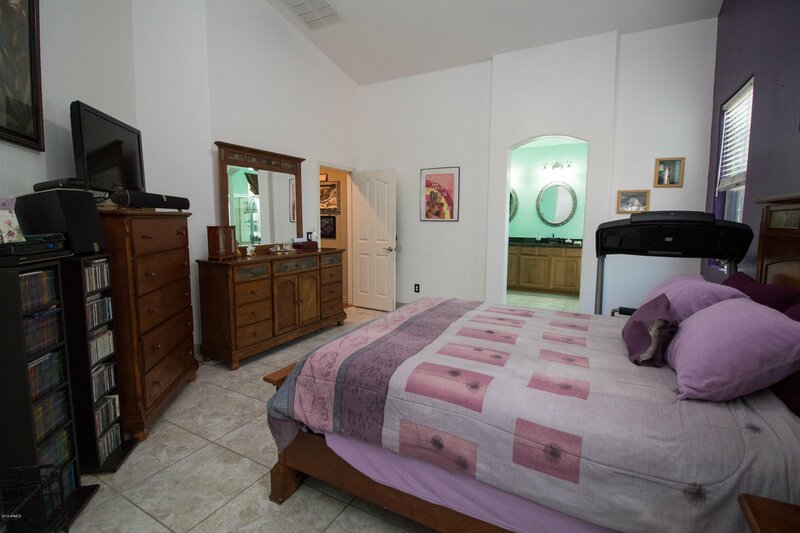 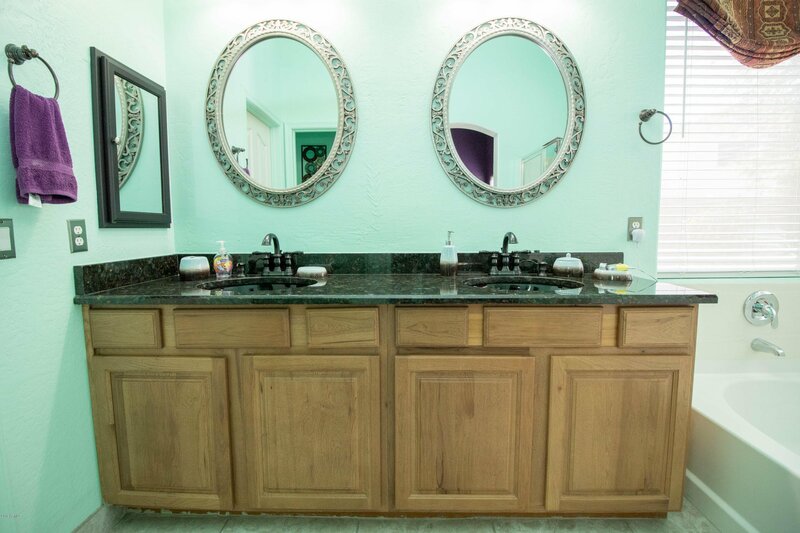 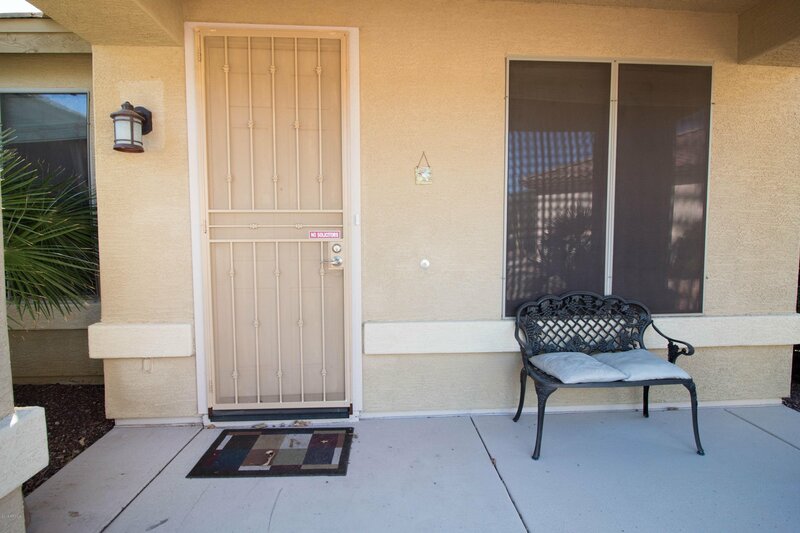 Huge split master suite with walk in closet, private door to covered patio, bathroom with double sinks, granite countertops, private toilet room, & separate shower & tub. 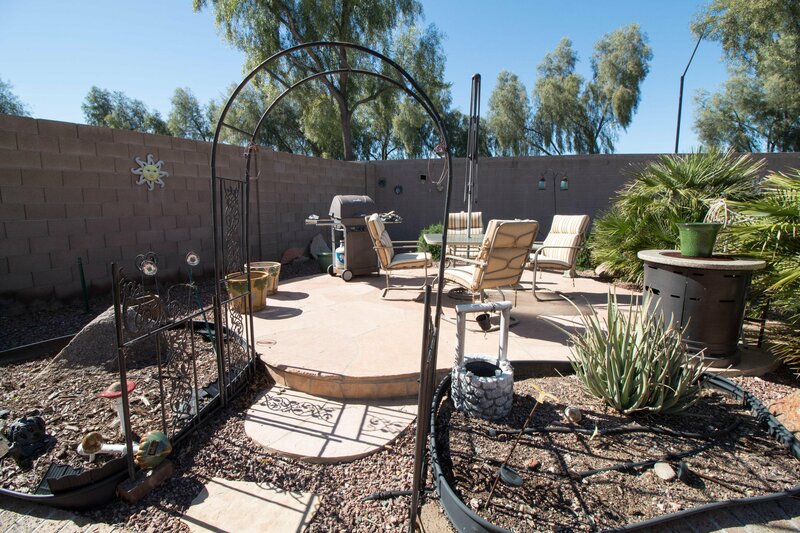 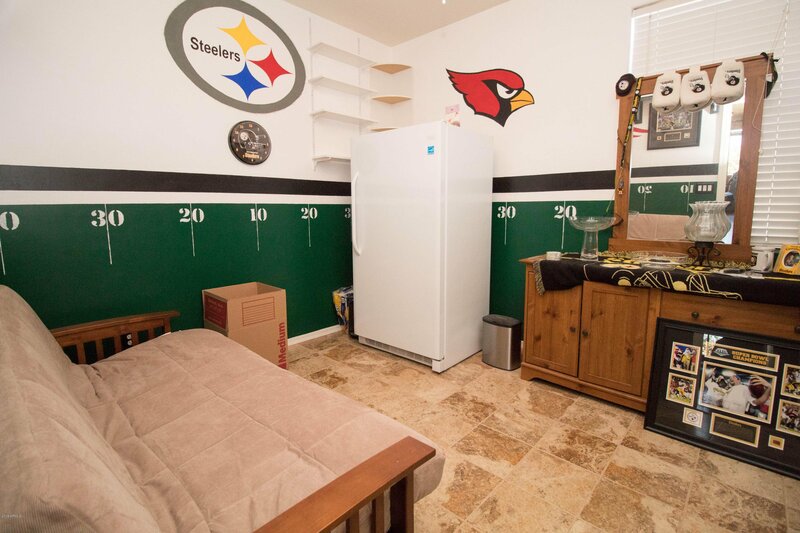 House features solar tubes for natural light, built in entertainment center, built in speakers throughout home, water softener, 2 car garage with epoxy floors, & huge back yard. 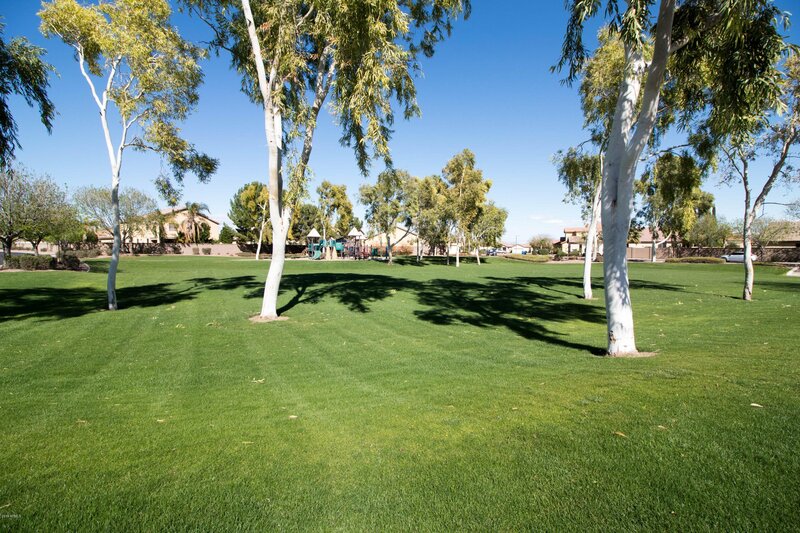 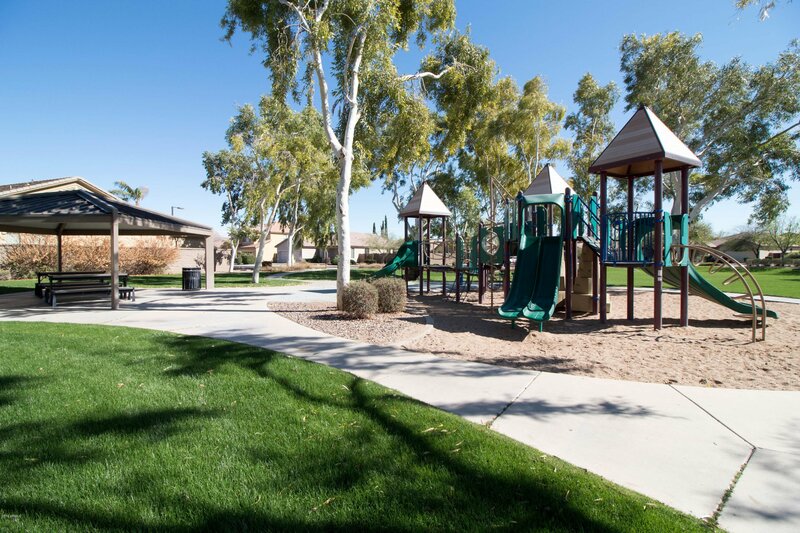 Across street is large greenbelt, playground, & picnic area. 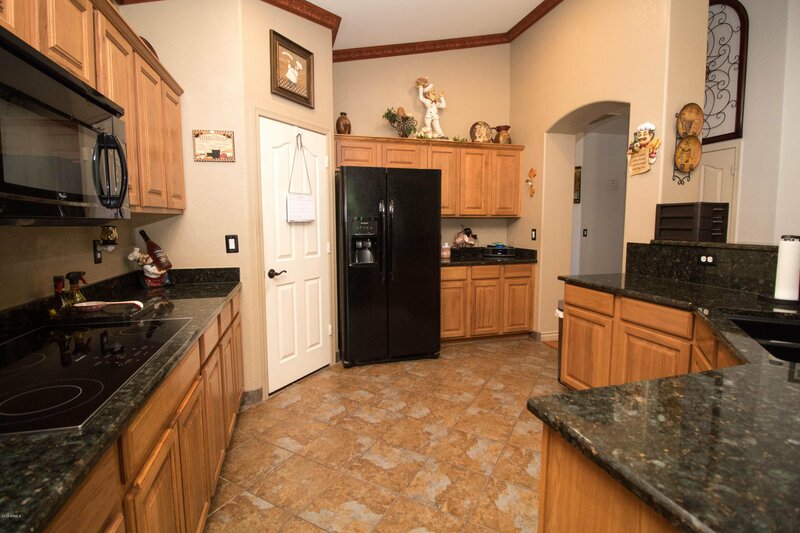 Around corner is Cimarron Springs Elementary School and Willow Canyon High School is 6 minutes away.